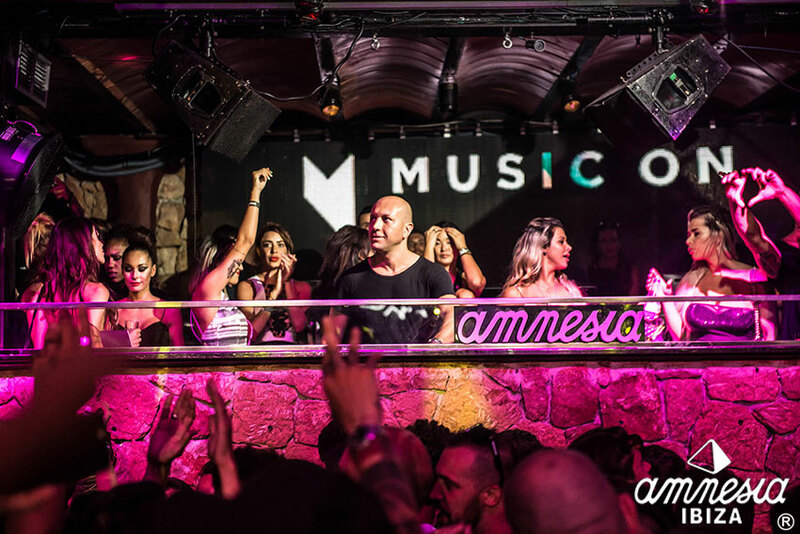 Music On by Marco Carola is back in Ibiza! Fridays at Amnesia are forbidden for folks with a heart condition! Music On by Marco Carola is the biggest techno party in Ibiza. Music On, the event that nobody wants to miss, returns this 2017 to Amnesia Ibiza with its longest season ever. Marco Carola kicks off the summer May 18th and will continue every Friday until October 5th. The full lineup for Music On 2018 is still a secret but the biggest techno artists are expected. Last summer, Paco Osuna, Miss Kittin, Apollonia, Jamie Jones, Derrick May and many others, joined the master Marco Carola. Music on is pure tecnho through your veins, an explosion of energy that will make you scream “Music On, Music” all night long. Turn the Music On, every Friday from 18th May to 5th October at Amnesia Ibiza.